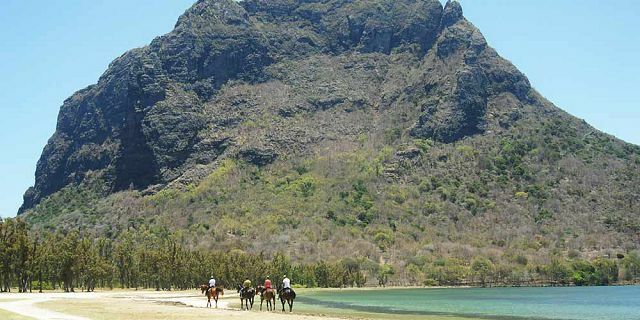 Get out and explore Mauritius on horseback along fantastic white sandy beaches around the stunning Le Morne peninsula. 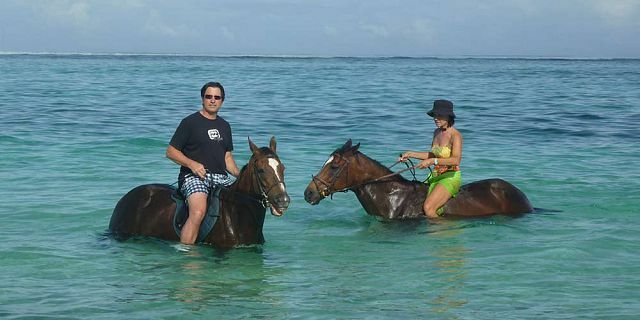 Mauritius Attractions offers horseback rides with professional staff for beginners or experienced riders. 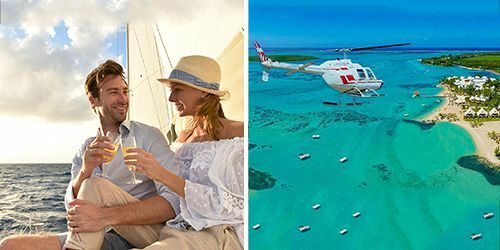 Imagine yourself, riding the most majestic Horse, with the crystal turquoise blue lagoon contrasting with the pristine white sandy beaches in the background! This is something you have probably seen in magazines or on post cards. 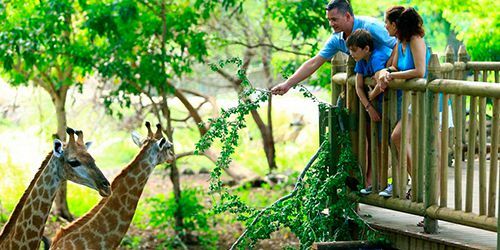 Well, we can assure that you can saddle up and enjoy the most enchanting moment with Mauritius Attractions! 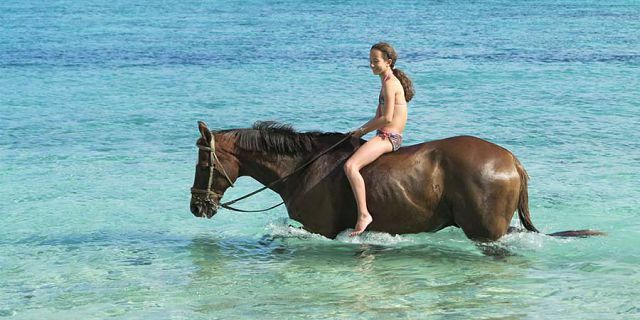 Do not miss the wonderful ride along the water line and enjoy the splashing of the waves riding your horse! 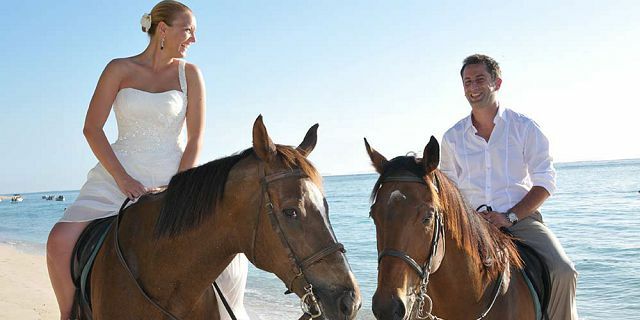 The horseback riding is organized with calm and docile horses to guarantee our clients a maximum security. 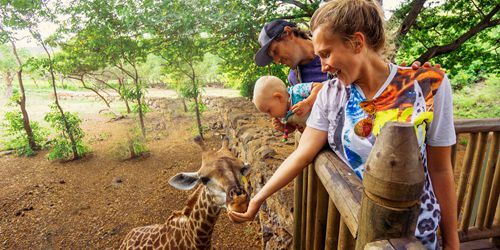 Upon arrival you will be welcomed by a very friendly staff and you will meet your horse. You will have 10 minutes initiation before leaving the paddock. 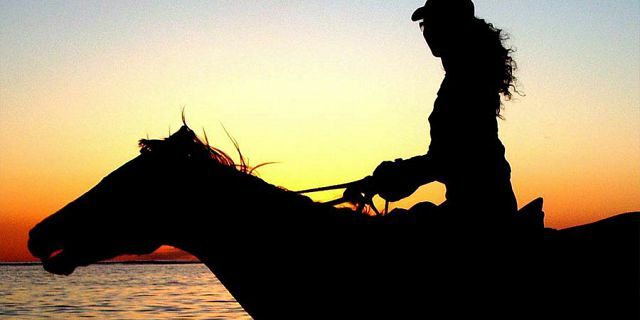 Novice riders will be taught how to mount their horse and will be given basic tuition on how to control their horse. The instructor will watch you ride in the paddock first, which will help you build up your confidence with trotting and galloping. 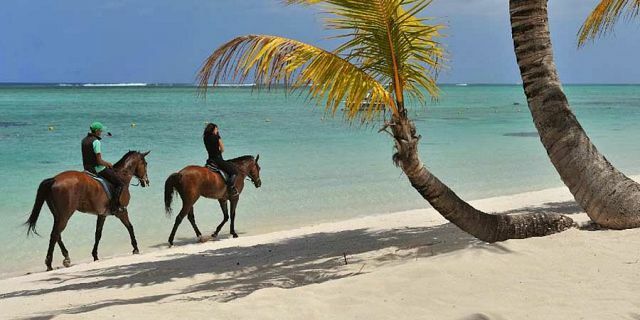 Now, it’s time to set out from the stables and go for a ride along these long stretches of white sand and turquoise sea. 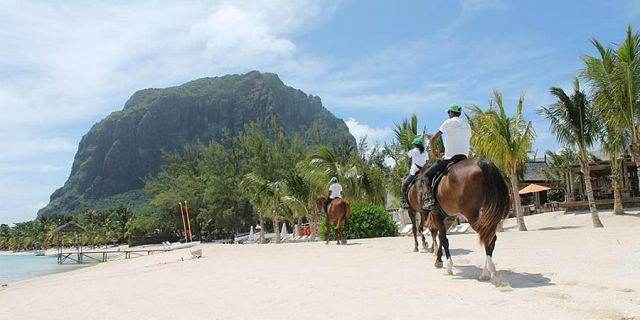 As part of this horse riding trip you will ride along the beautiful beaches of the Le Morne Peninsula starting from the South west tip of the peninsula and ending the trip at its north part, having beautiful views of Benitiers Island and the big west coast lagoon. 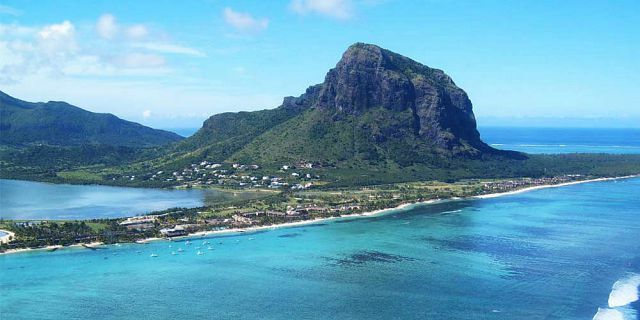 You will get to see the different hotels from the beach side, as well as to have a remarkable view of the Le Morne Mountain from the beach. 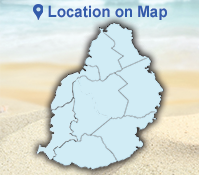 You will start this ride in land and finish right into the sea splashing in the waves with your horse. 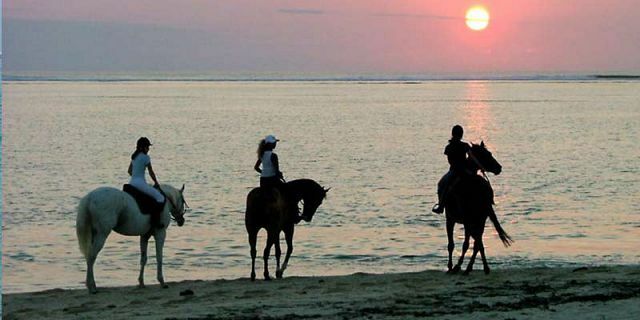 So, take your time and enjoy this outstanding landscape with your horse. During your horde ride, you can have a nice chat with the professional guides, who would be happy to share their experience and love for the horses with you. 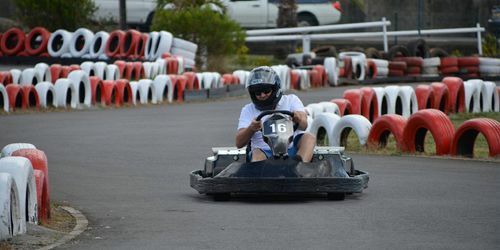 You will have the opportunity to ride either in the morning or the afternoon, each session allowing you to have a different experience. 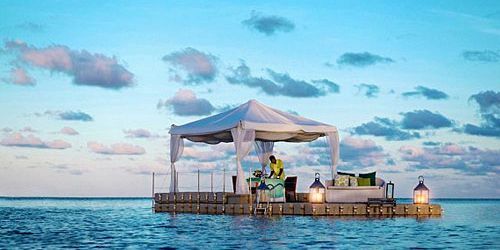 The morning slot is preferred for more experienced riders where they can trot and gallop with the horses, whereas the afternoon session allows one to take in the views along the shore at a more laid-back pace. 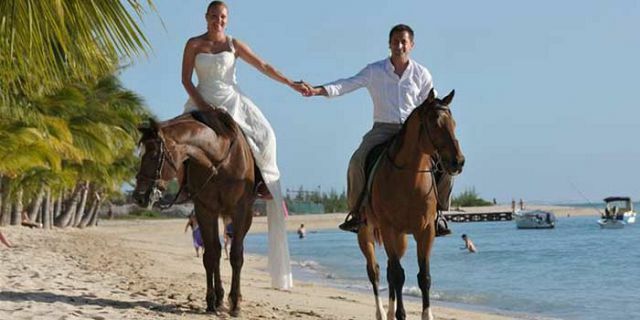 After the ride, you will return to the stables where you can spend more time with the horses. 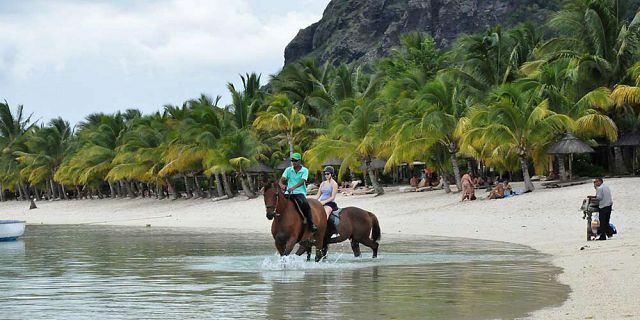 The adult 20 horses and 2 ponies (ideal for children) are kept and trained in this unique environment of Le Morne. The horses are treated and vaccinated. They are taken care of with regular exercise everyday and are fed with freshly cut grass and cereals. 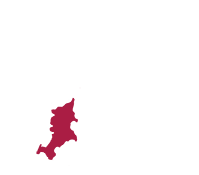 These horses are ideal for both beginners and experienced riders. 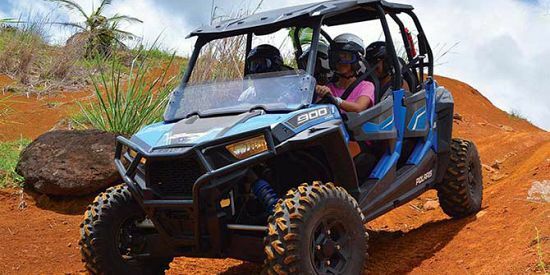 They are very calm and ensure a safe and pleasant ride also for the non-experienced riders. 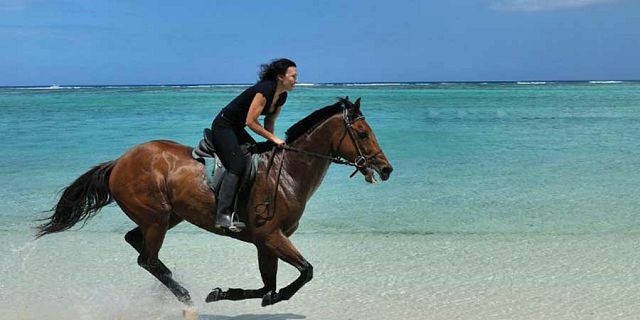 Note: It is recommended that advanced riders who want to ride for 1h 30 min on the beach, should opt for the morning session as there are less people on the beach and therefore it is easier to trot and gallop.